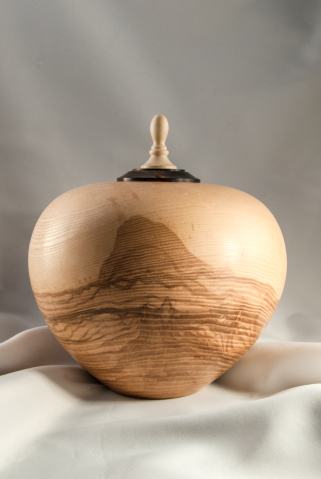 which will finally shield our tired bodies when we are laid away. 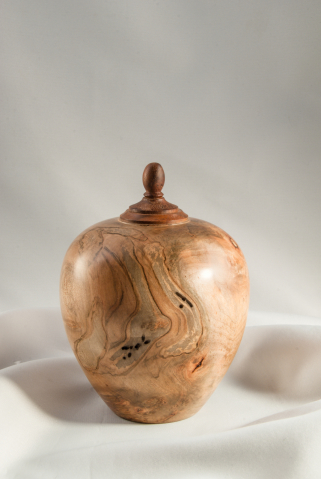 may be our house in this step toward immortality." 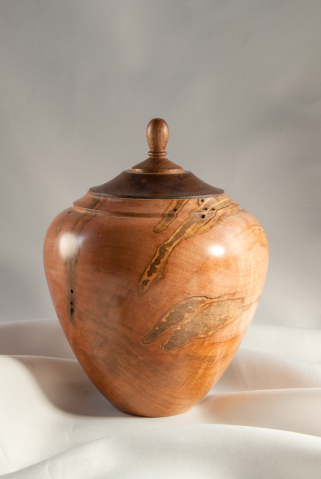 Looking for that special memorial, keepsake or one-of-a-kind cremation urn for your family member or beloved pet? 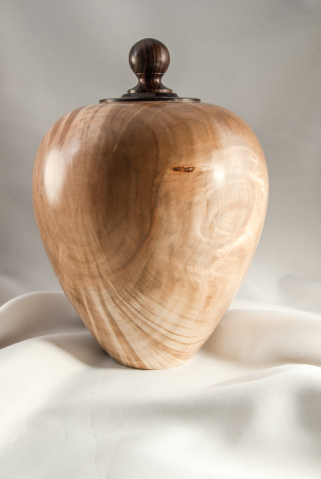 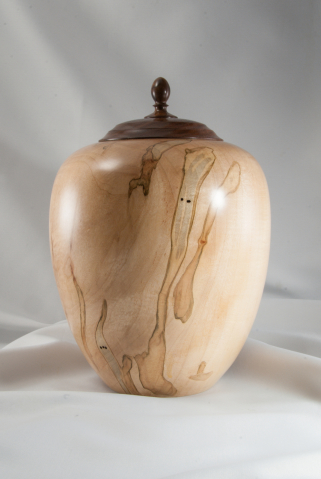 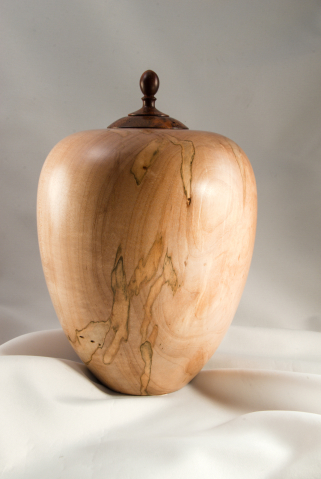 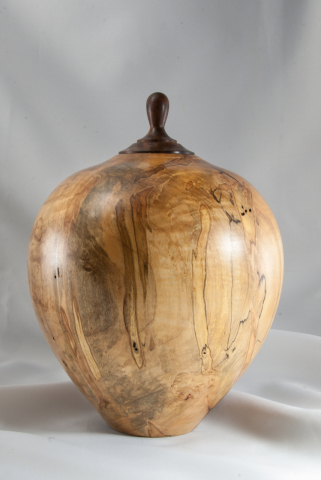 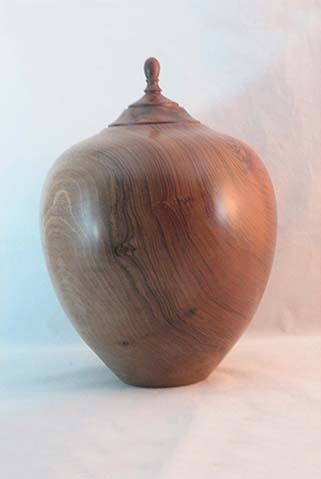 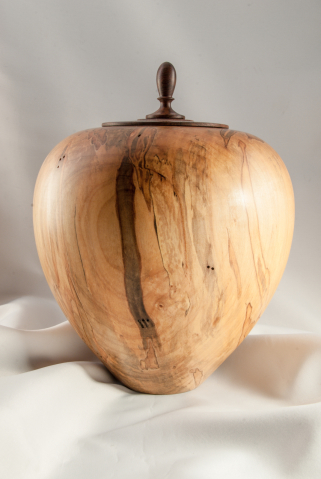 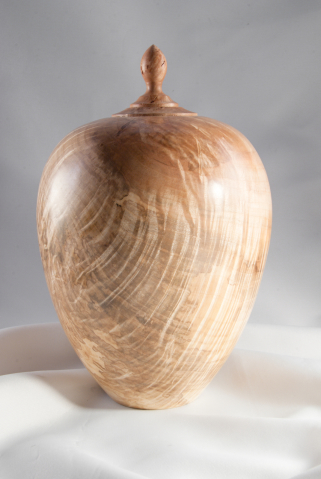 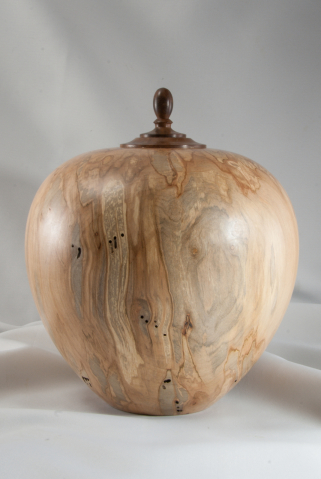 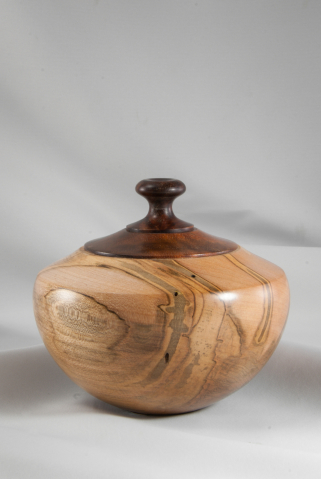 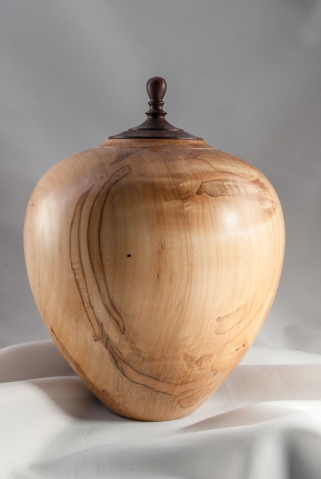 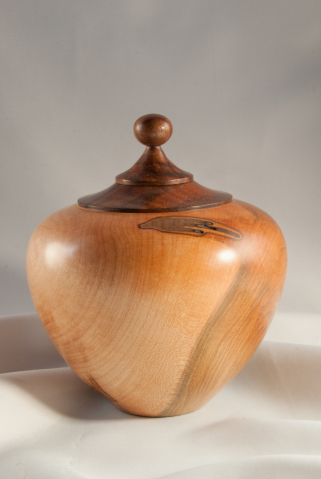 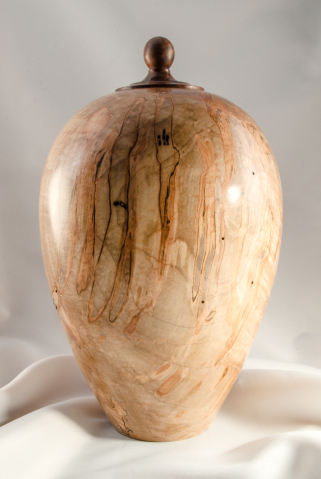 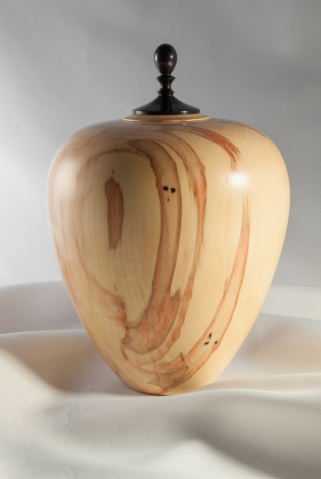 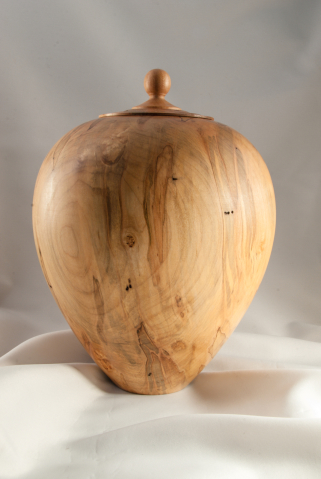 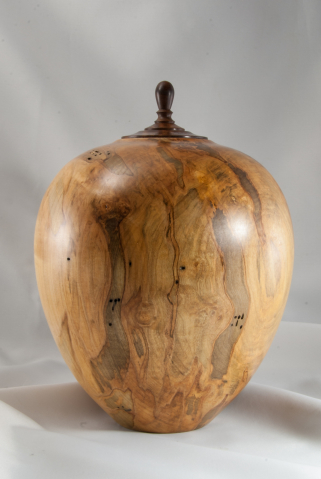 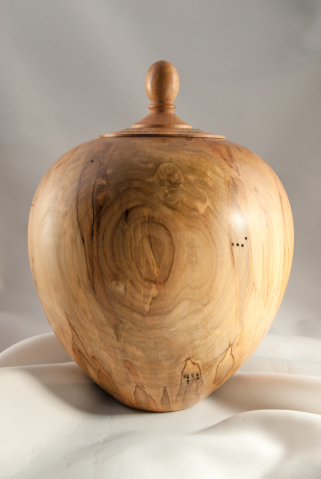 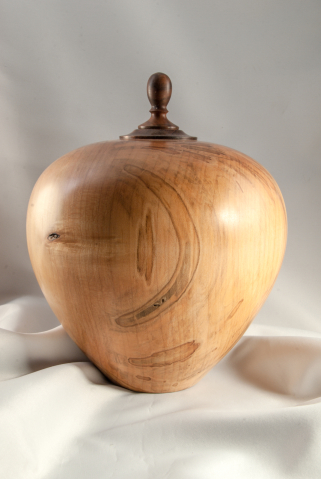 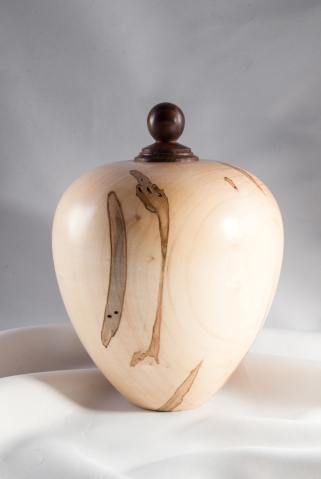 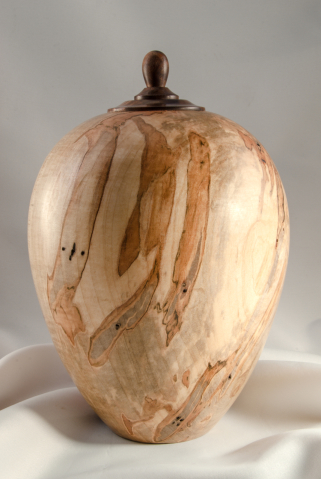 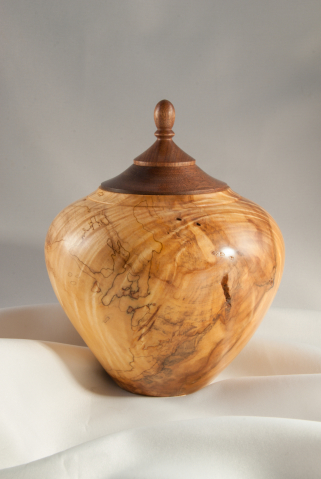 Don Maloney, a one time architectural wood turner for many firms in the D.C./Northern Virginia area now spends his time turning artistic pieces; especially unique and beautiful hand-crafted traditional wood urns, most of which are made from ambrosia maple, curly maple, walnut, redwood, box elder or ash trees. 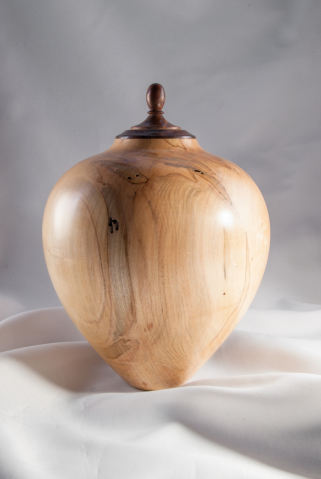 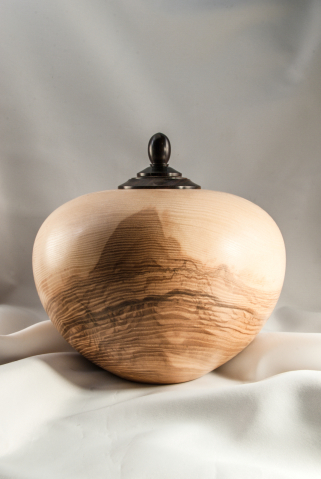 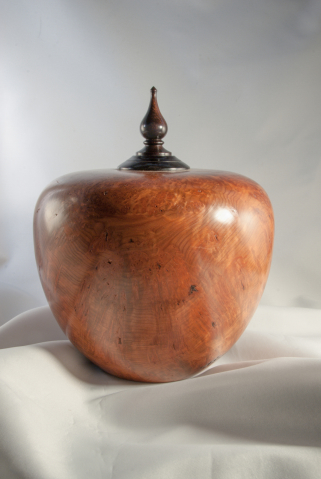 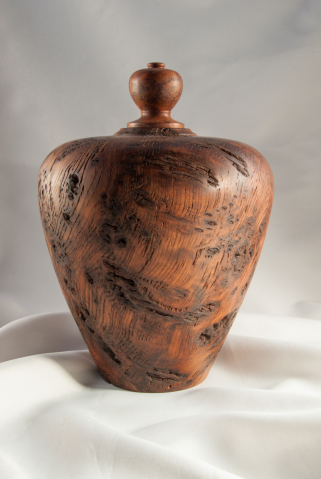 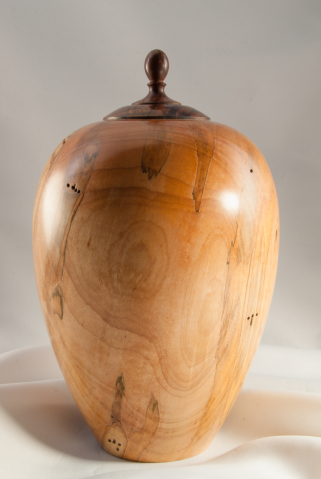 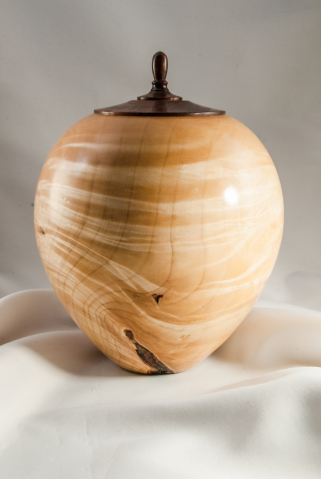 These original and individually hand-turned urns reflect the wood’s inherent beauty. 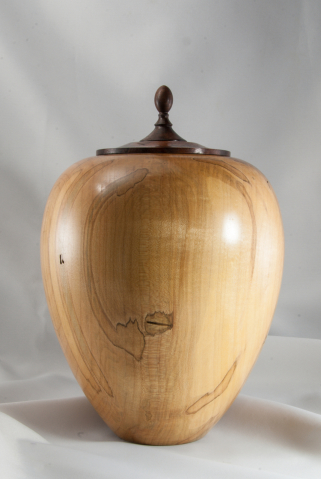 All are MADE IN AMERICA. 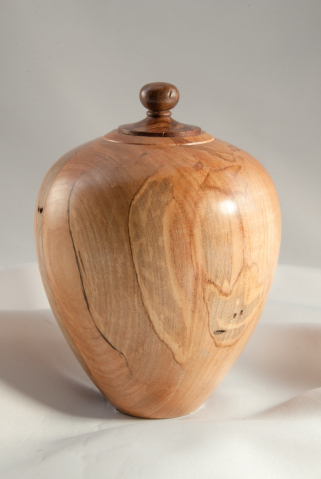 The first consideration in choosing your Urn should be size. 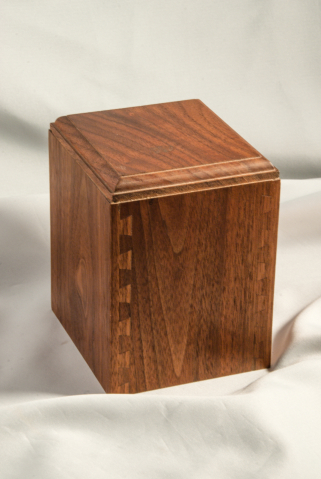 You will require a minimum of 1 cubic inch per pound of body weight of the deceased person or pet. 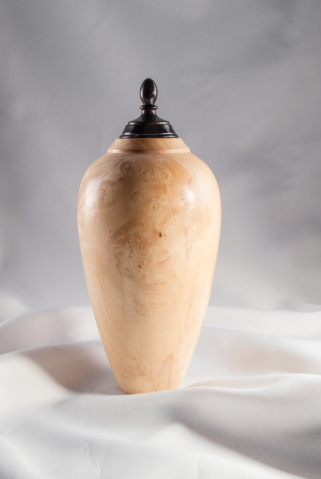 Within reason you can choose a somewhat larger Urn should a particular wood or shape appeal to you. 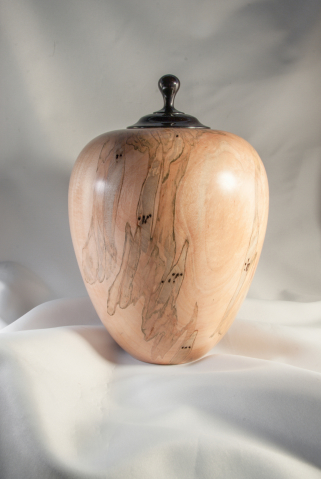 Otherwise a Custom urn will take a minimum of eight months. 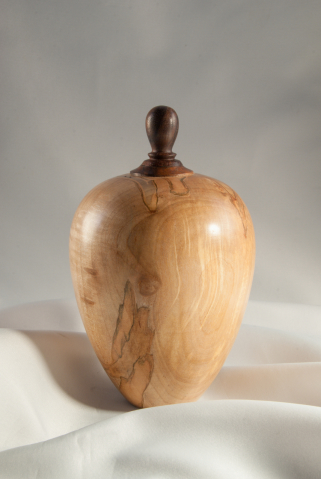 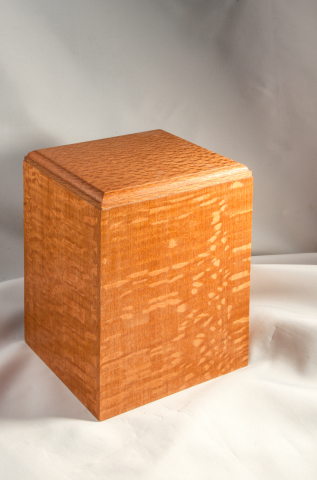 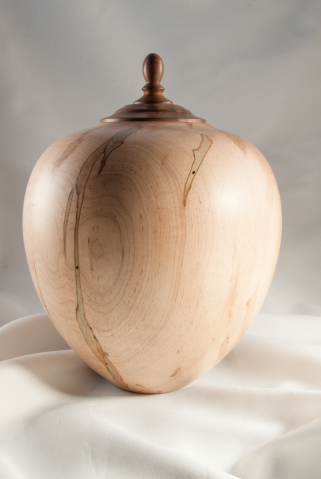 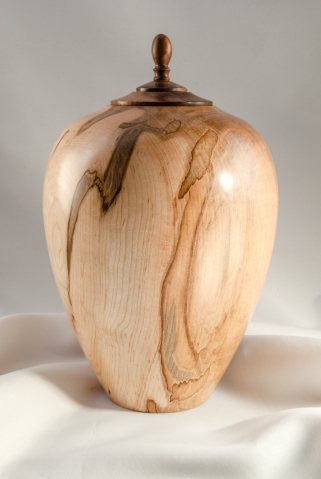 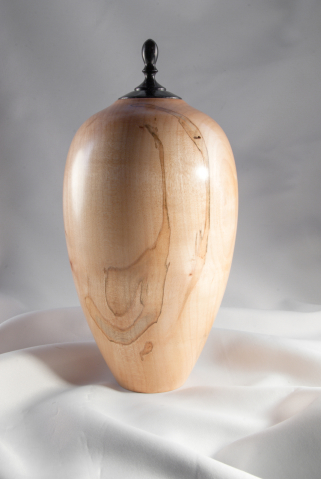 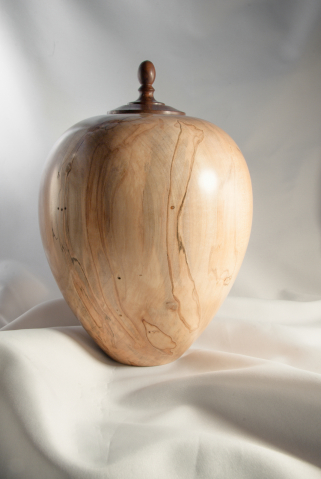 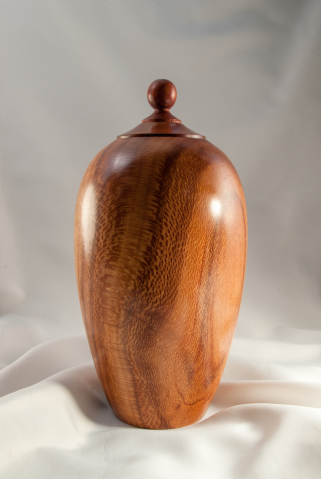 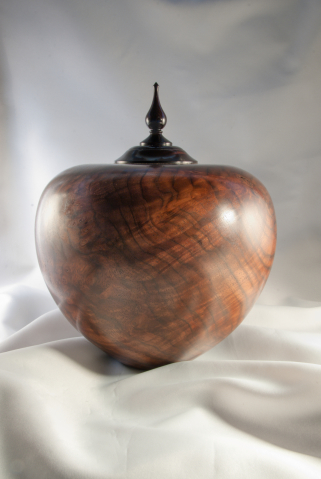 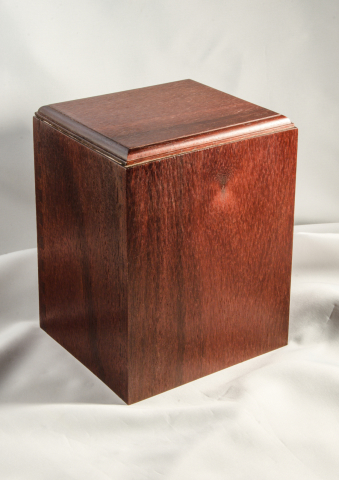 All Urns are finished, polished, and have a threaded removable finial top. 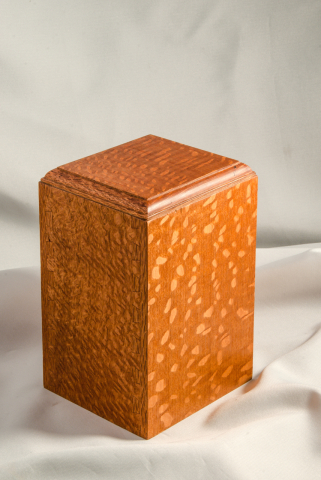 All items are labeled as to the the type of wood used --- Claro Walnut, English Walnut, Ash, Ambrosia Maple, Redwood, Box Elder, Silky Oak, Lacewood, Quilted Maple and Padauk. 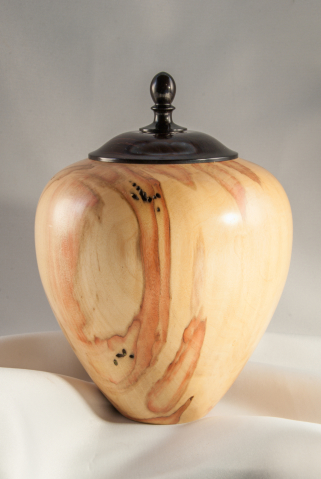 All prices include taxes and shipping.